It's Italy Cruise Week! Yesterday: tips for before you set sail. Today we disembark in Venice, Italy's watery wonderland. Most of the millions of tourists who visit Venice do so for less than 12 hours and are there on a cruise ship. Sadly, some of those visitors come away having had a miserable experience in Venice because they went to the same three places that the other 5,000 people on their ship chose and ended up spending their day standing in line in the heat. What a pity! Venice is one of the most fabulous places in the world, and if you get off the beaten path just a bit, you will find it is truly a gem. You can make your way on foot from the Stazione Marittima to the Jewish Ghetto and get a sense for Venice on foot. One of the delights of this island city is that there are no cars. The entire city is accessed by foot or by boat. The Jewish Ghetto is a marvelous place to wander in the early mornings as the shop owners prepare for the day. You’ll find fruit and vegetable stands and Venetians enjoying cappuccino in their local bars (part bar, part café – enjoy a pastry and a cappuccino for breakfast). The Ghetto was established in 1516 as the compulsory neighborhood for Venice’s Jewish population. Here you will find synagogues and a wonderful museum about the history of the neighborhood: the Museo Ebraico e Sinagoghe. From the Ghetto you will find the famed Grand Canal. I recommend purchasing a 1 day vaporetto pass for your visit. This will allow you unlimited access to Venice’s water taxi system. You can buy the pass at most vaporetto stops. You can take the vaporetto up and down the Grand Canal with great views of the Rialto and many of Venice’s grandest palazzos. Foodies and photographers alike will want to visit the Mercai di Rialto during the morning hours. This is Venice’s famed market area and a fabulous place to see what you might be eating later that day in its most pure form. Fish and produce are bought and sold here in addition to all kinds of other culinary delights. Go early, though – certainly before 10 am. Venice is a city of churches grand and small. One of my favorites is Santa Maria della Salute. Built in the 17th century, Our Lady of Good Health was built after Venice had been freed of the plague. Be sure to visit the altarpiece by Titian, one of Venice’s most famous native sons. On some days the lines to get into San Marco are very, very long. Now, I won’t say that it isn’t worth it to get in. The church is stunningly beautiful and is the jewel of Venice. However, if you only have one day in Venice, you must weigh how many of those hours you want to spend in line should you be there on a day when the city is crowded. Off-season (October – March) the lines are rarely a problem. You can reserve a time to get into St. Mark's online before you arrive - it's a 10-minute window, but if you know when you're docking in Venice you should be able to pick a time that works. Best of all? On top of the church entry being free, the reservation booking is free, too. I wrote about it under "avoiding the lines" on my St. Mark's post. Many people also brave the lines to climb to the top of San Marco’s campanile – or bell tower. Don’t bother! There are hundreds of other campanile in the city many of which you can climb for fabulous views of the miraculous island city. My personal favorite is at San Giorgio Maggiore. This church was designed by the quintessential Venetian architect: Palladio. The elegant church and grounds occupy most of an entire island and are accessible by vaporetto. 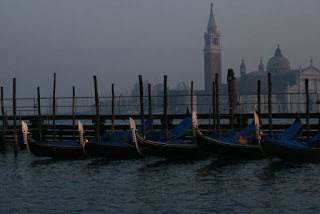 And the views of the lagoon from the campanile – fabulous! One vaporetto stop from San Giorgio, Palladio’s Redentore is also worthy of a visit. And the little restaurants on this island tend to be devoid of tourists, too. I've created a map with these and all of the Cruise Week locations on it. Enjoy! 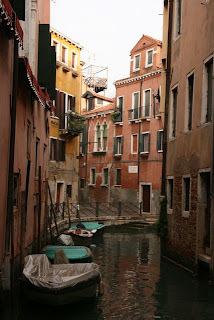 Living Venice: I love this blog! If you just aren't sure what to expect in Venice (or need another excuse to be excited about your trip, check out Living Venice. Their video series is amazing. I particularly loved the one about rowing a gondola. The City of Falling Angels by John Berendt: in 1997 la Fenice, Venice's famed opera house, burned to the ground. Berendt writes about the characters and city as a tale of corruption and greed emerged from the building's ashes. No Vulgar Hotel by Judith Martin: Miss Manners herself gives an interesting portrait of what it is like to live in Venice as an American ex-pat. A Traveller's History of Venice by Peter Mentzel: my favorite series of easy-to-digest histories continues. Questions about Venice? Post them here! I'm always happy to answer them. Great! 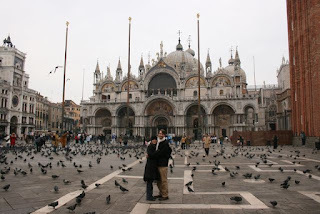 !...Venice of Italy is a place of Warming Romance of a lovers..
Folks, If you want to know other great travel destinations, feel free to view Travel Blog and see great, wonderful and some historical places that will amazed and would loved you to go and explore. Thanks, Jessica! I've always been in Venice when that wasn't an issue, so I had no idea. I've added your tip to the text above. And Rey: so glad you stopped by!